SIEMENS MOTOR บริษัทเจดับบลิวเทค จำกัดเป็นตัวแทนจำหน่ายมอเตอร์ซีเมนส์ มีสต๊อกมอเตอร์ IE1,IE2, IE3 มอเตอร์สำหรับงานอุตสาหกรรม มอเตอร์กันระเบิด มอเตอร์ประหยัดพลังงาน มอเตอร์ประสิทธิภาพสูง. Standard motors from Siemens are characterized by their flexibility, ruggedness and energy efficiency. In general, all motors are suitable for converter-fed operation with line voltages of up to 460 V +10 %. 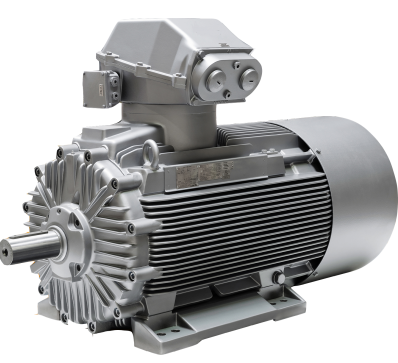 The motors are designed to fulfill the requirements of the European and international markets with an output Range from 0.12 to 315 kW. Range of energy-saving motors exclusively comprises motors in the EU efficiency classes IE1 "Standard Efficiency", IE2 "High Efficiency", and IE3 "Premium Efficiency". The three-phase motor series SIMOTICS N-compact covers outputs up to 1250 kW (at 50 Hz) in the non-standard range. A number of technical features provide this motor series with ruggedness and long service life and ensure the highest level of availability, for example, motor protection with PTC thermistors with 6 embedded temperature sensors for alarm and tripping is standard. SIMOTICS N-compact motors are also characterized by their high output for small frame size. 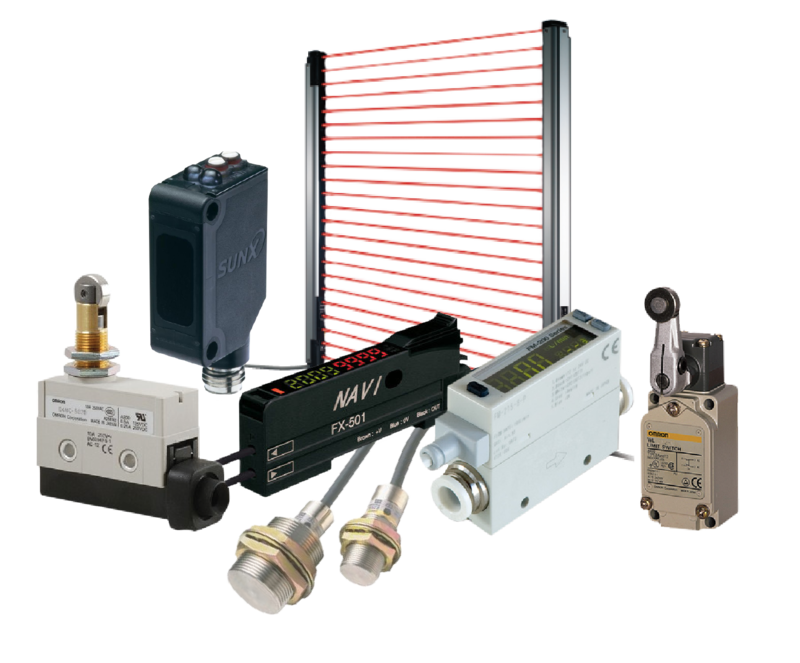 The consequence of this is an extremely compact design that can be used to save space in a number of industrial applications. 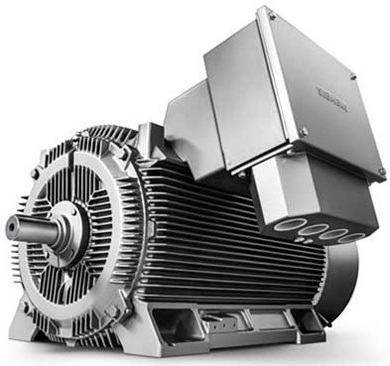 SIMOTICS N-compact motors are not only optimized in terms of their construction, but also in terms of their efficiency, so they also contribute towards lower energy consumption. 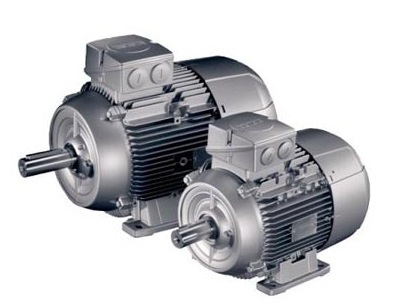 Apart from mains-fed operation, the SIMOTICS N-compact motors are also specially designed for converter-fed operation, for example, insulated bearings are used at the non-drive-end NDE for converter-fed operation as standard to prevent damage being caused as a result of bearing currents. In combination with frequency converters from the SINAMICS and SIMOVERT MASTERDRIVES product series, they build up perfectly interacting drive systems for variable-speed drive applications. SIMOTICS XP 1MD5 motor series, type of protection "Explosion-proof enclosure" SIMOTICS XP motors of the 1MD5 series are surface-cooled, fully enclosed motors in type of protection "Explosion-proof enclosure" Ex d. They can be designed in accordance with the current VIK recommendation ("Verband der Industriellen Energie- und Kraftwirtschaft e. V.", the Association of the Industrial Energy and Power Industry). The motors are marked in accordance with EN 60079-0 Ed. 2009 and EN 60079-1 with II 2G Ex de IIC T4 Gb for operation in Zone 1. SIMOTICS XP 1MD5 motor series, type of protection "Explosion-proof enclosure"
SIMOTICS XP motors of the 1MD5 series are surface-cooled, fully enclosed motors in type of protection "Explosion-proof enclosure" Ex d. They can be designed in accordance with the current VIK recommendation ("Verband der Industriellen Energie- und Kraftwirtschaft e. V.", the Association of the Industrial Energy and Power Industry). The motors are marked in accordance with EN 60079-0 Ed. 2009 and EN 60079-1 with II 2G Ex de IIC T4 Gb for operation in Zone 1.